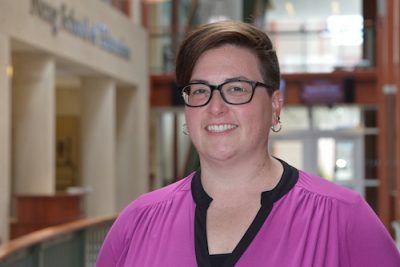 CBER Ph.D. student Sarah Wilkinson is featured in National Center for Leadership in Intensive Interventions newsletter for her collaboration with Dr. Paul Yovanoff at Southern Methodist University. For more information about CBER student researchers, please visit our Student Researchers page. The Northeast PBIS Network hosted a summit and celebration for recently endorsed trainers. To become endorsed, each trainer completed and met competencies of the rigorous Northeast PBIS Training of Trainers (NEPBIS TOT). As part of this work, each trainer demonstrated the ability to effectively train and support schools in implementing PBIS with fidelity. 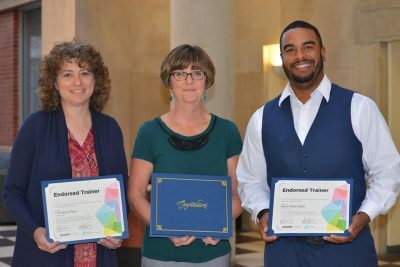 Pictured here are three of the seven trainers: Christine Peck, Tracey Lamothe, and Eben McKnight. Not pictured are: Cynthia Zingler, Amanda Pickett, Christine Cappabianca, and Missy Wrigley. Faculty from the Center for Behavioral Education and Research developed and continue to coordinate the program in partnership with the CT State Department of Education. Drs. 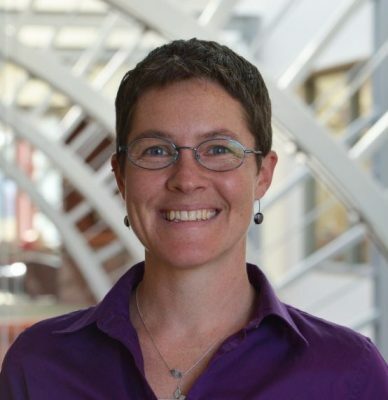 Allison Lombardi and Jen Freeman publish a new article! 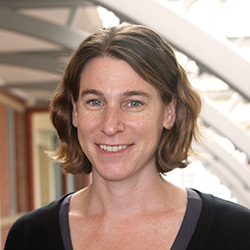 Dr. Allison Lombardi, Dr. Jen Freeman, and Graham Rifenbark (CBER research scientist and grad student) published a new article about college and career readiness for adolescents with and without disabilities. Congratulations! Lombardi, A., Freeman, J., Rifenbark, G. (2017). Modeling college and career readiness for adolescents with and without disabilities: A bifactor approach. Exceptional Children.